JAC Volkswagen, a newly formed joint venture between Jianghuai Automobile Co. and the Volkswagen Group, said the first product under its new SOL electric vehicle brand in China will be a subcompact crossover, the E20X. 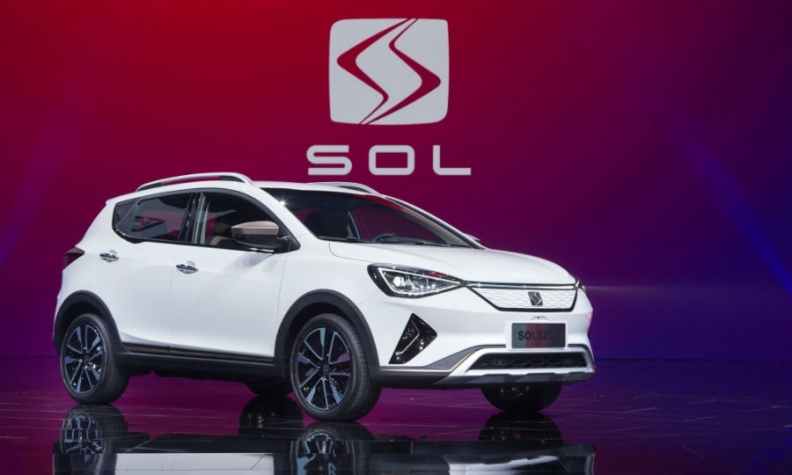 The SOL E20X, introduced at the Beijing auto show last week, will have a range of more than 300 km (186 miles), VW said. It has an artificial intelligence-enabled audio system as well as intelligent mobility services for battery charging, parking and online payments. It also features internet connectivity for infotainment and to monitor the vehicle’s operating conditions. VW said it will go on sale in the third quarter. Additional details about the SOL E20X weren’t released. JAC VW was incorporated as a 50-50 partnership in the east China city of Hefei in early 2017. It will only produce EVs with annual production capacity of 100,000. It is the third joint venture VW has established in China, following partnerships with China FAW Group Corp. and SAIC Motor Corp. The Volkswagen Group won’t launch sales of EVs under its proprietary brands such as VW and Skoda until 2021. The joint venture with JAC will enable the German auto giant to earn credits to meet requirements under a carbon credit program the Chinese government is set to enact next year. VW Group is the largest light-vehicle maker in China, with nearly 1.01 million vehicles deliveries under its various brands in the first quarter, a gain of 13 percent over the same period last year.